Date: May 4 2019, 1 p.m. - 3 p.m. 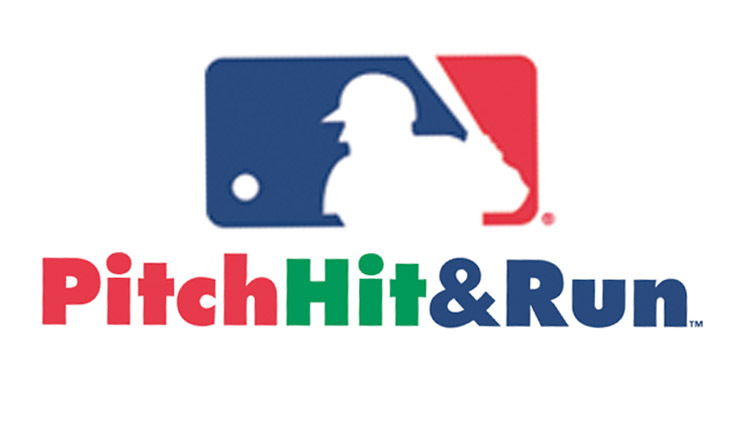 Enter your youth in the famous Pitch, Hit & Run competition! The event will be held at the McChord Youth Ball Fields. Batter up! Youth ages 7-14 are invited to showcase their baseball skills during the Major League Baseball's Annual Pitch, Hit & Run event! This event is offered by JBLM Youth Sports & Fitness in conjunction with Major League Baseball. Winners can advance to the Sectional and Championship competitions and have the opportunity to advance all the way to the National Finals which will be held at the 2019 MLB All-Star Game. Participants will be required to throw pitches at a designated "strike zone" target, hit from a stationary tee for accuracy and distance, and run from second base to home plate for time. Register online through the sign up link below or in person on the day of the event. Bring their birth certificate to the McChord Youth Ball fields on the day of.